In a landmark development to revamp the general management education landscape in India, Cornell University, the globally-acclaimedIvy League University, today launched a specially-designed ‘Cornell-ILR Experienced Managers Program (CEMP)’ for Indian professionals. Crafted to bring the next stage of career growth for mid-level professionals/entrepreneurs, the 12-month certificate program offers insights into integral managerial decision-making processes. 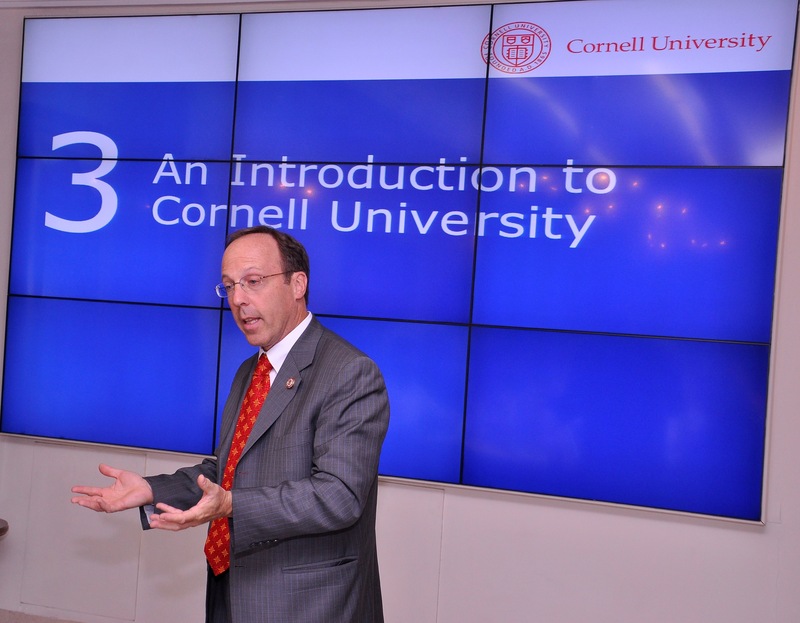 Cornell University has selected Pearson, the world’s leading learning company, as their ‘learning partner’ for this project in India. Recruitment for the first batch of participants has already begun andtheenrollment process will remain open until September 23, 2015. The batches will start the program on Friday, 23October, 2015. Specifically tailored for Indian professionals who have a minimum seven years of work experience, CEMP is anchored to the globally-acclaimed curriculum, framework, and concepts of Cornell University. The program is designed around four core themes that include Managing the Business, Managing People& Teams, Managing the Organization, and Managing the Strategy. Within these four thematic areas,CEMPhas 14 detailed modules and additional mini-modules. The program concentrates on core competencies of management, including Human Resources, Operations, Finance,Marketing and Strategy. In addition, the program focuses on enhancing managerial skills, such as building expertise on leading global teams, implementing negotiation and conflict resolution skills, developing entrepreneurship in current functions, and evaluating and mitigating business risks. CEMP follows an integrated approach, covering theoretical as well as practical modes of learning. The program includes a Capstone Project that provides participants with an opportunity to solve real-world problems faced in their current industry or organization by drawing upon the knowledge gainedthrough the program.Participants could also explore an entrepreneurial idea and analyze it from multiple perspectives. To provide an even more in-depth focus in certain management areas, the program includes a five-day immersion program at Cornell University in Ithaca, NY, and New York City. This immersion program focuses on key areas, such as leadership, innovation,and agility.It also includes a proprietary business management simulation exercise to enhance broad abilities of the candidates as rising leaders. CEMP’s first learning centre has been set up at Gurgaon in Haryana. The advanced learning centre will hold in-country seminars (taught by Cornell and Indian practitioner faculty), live online classes, faculty sessions and networking events. CEMP is built on a convenient, business-friendly flexible schedule with classes being organized over weekends or evenings of weekdays. Mr. Deepak Mehrotra,Managing Director of Pearson India states, “The concept of executive MBA is fast gaining popularity among working professionals in India. However, the effectiveness of this learning model is not fully achieved. CEMP will engage participants in active networkingplatforms. Candidates will have access to networking events conducted over a period of time, even after the program is completed. The program will also have a closed LinkedIn group where program alumni can remain in touch, connect and share ideas years after they complete the program.